Therapists who use sensory integration therapy may recommend that children wear weighted vests as an intervention strategy that they claim may assist in remediating problems such as inattentiveness, hyperactivity, stereotypic behaviors and clumsiness. Seven studies examining weighted vests are reviewed. While there is only a limited body of research and a number of methodological weaknesses, on balance, indications are that weighted vests are ineffective. There may be an arguable case for continued research on this intervention but weighted vests cannot be recommended for clinical application at this point. Suggestions are offered for future research with regard to addressing methodological problems. New York State Department of Health. (1999). 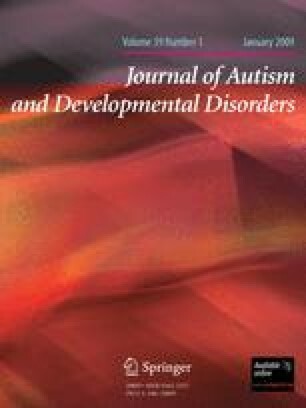 Clinical practice guideline—Report of the guideline recommendations: Autism/pervasive developmental disorders assessment and intervention for young children (Age 0–3 Years). Retrieved August 8, 2006, from http://www.health.state.ny.us/community/infants_children/early_intervention/autism/index.htm. Shaw, S. R. (2002). A school psychologist investigates sensory integration therapies: Promise, possibility, and the art of placebo. NASP Communiqué, 31(2). Retrieved August 9, 2006, from http://www.nasponline.org/publications/cq312si.html. Weinstein, S. (2002). Safe backpack loads for kids. Retrieved October 5, 2007, from http://www.uihealthcare.com/topics/medicaldepartments/orthopaedics/backpacks/index.html.